I say this all of the time but one of my absolute favorite parts about photography is that I get to capture so many happy moments. 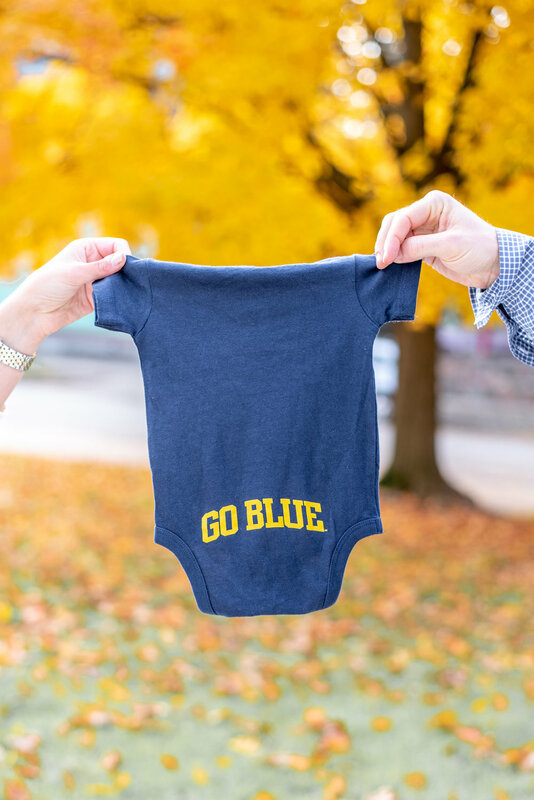 When Charlie and Leslie asked me to take some photos for their baby announcement, I squealed with excitement. 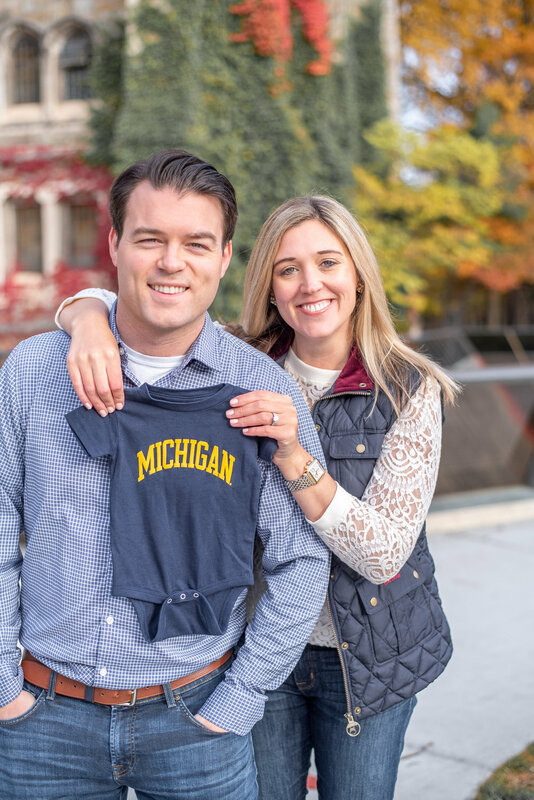 Football Saturdays get a little hectic in Ann Arbor so we woke up early on a perfect fall Saturday to grab some photos around the Law Quad. 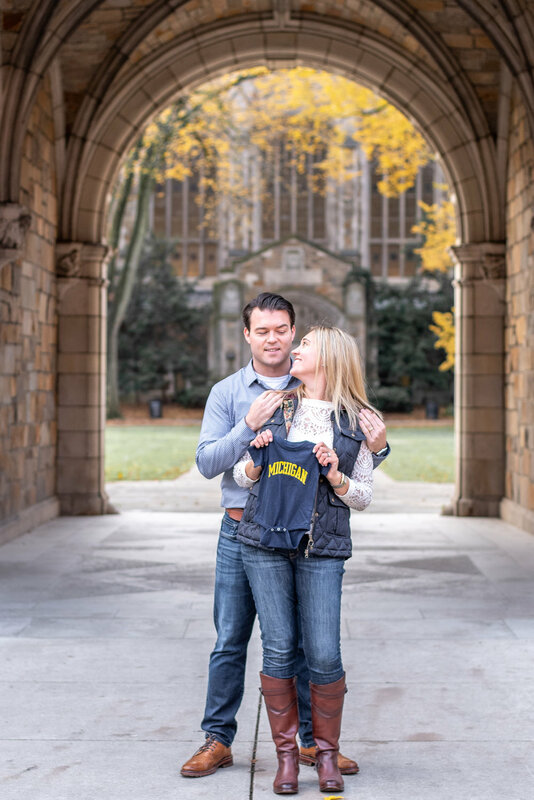 Since U of M brought this couple to Ann Arbor, it seemed only fitting to make the most of the beautiful campus for their pregnancy announcement photos. How cute is this onesie?! Ready to work together? Let’s talk!